Bill Jones, Jr. was certain he would be a photographer when he grew up. From age 12, he could be found bicycling through the streets of Hampton, Virginia, camera in hand. Already a voracious reader, at age ten, he was exposed to the poetry of Nikki Giovanni and the fiction of Jack London and Madeleine L’Engle. The writing bug was born. For a time, he satisfied his “starving artist” yearnings by publishing poems in various literary journals. In 2007, he wrote a short story, which would later become the first two chapters of The Stream. 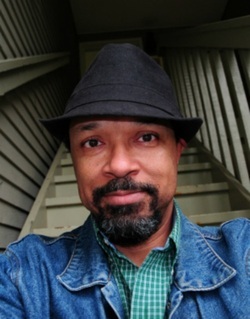 In 2009, he began work on the book in earnest, completing his first novel, The Stream: Discovery, and its sequel, The Stream: Awakening, writing the books back-to-back in four months. 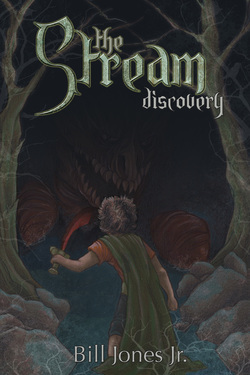 Bill is currently preparing for the 2012 release of The Stream: Awakening, and is working on a number of other projects, including a SciFi novel and Book 3 of The Stream. When not at his day job as a Market Research Analyst, Bill can be found writing, at the gym, or wandering the streets of Washington, D.C., Nikons in tow. Charlie Patterson is an exceptionally bright, twelve-year-old boy, with no close friends. He spends most weekends in the company of his great-grandfather, G'pa Joe, and most weekdays trying his best to be invisible. This year, however, promises to be different. This year, all of Charlie's dreams will begin to come true - in more ways than he had hoped. Charlie's entire summer has been filled with increasingly disturbing dreams. Most feature a strange, dark-haired girl, who watches, but does not speak. Her name is Robin LeBeaux, a lovely seventh grader from New Mexico with a tragic past, and she is quite real. Despite Charlie's insistent logic, and Robin's enthusiastic illogic, they become fast friends. Together, guided by Robin's deceased sister, they discover a singular talent - the ability to walk into and influence others' dreams. Lurking amidst fanciful images of fur-covered dragons, deserts of colored glass, distorted history, and strange beings, there is a growing darkness in the dream world, the Stream. Within that darkness, G'pa Joe has become the Stream's latest victim, lost in a confusing world of nightmares masquerading as memories. Charlie and Robin are determined to find G'pa Joe and bring him back, no matter the cost. There is but one small problem: the dark Lord Siri, ruler of the Stream, has other plans for the dream world … and Charlie.